Twin brothers Berkley and Nicholas Vanderzee are born on the Missouri frontier to parents Miles and Gillian Vanderzee. Geoffrey Hawkins is born to parents Jeremiah and Emily Hawkins in Dixton near the town of Monmouth in South Wales. Robert Deakin, the eldest of the three Deakin brothers, is born in London to parents Landry and Edyln Deakin. Falynne Jane Maddock is born to parents Magnus and Ivory Maddock in Paris, France. Glynnis Deakin, the older of two sisters, is born in London to parents Landry and Edyln Deakin. Timothy Deakin is born in London to parents Landry and Edyln Deakin. Kendra Deakin, the younger of two daughters, is born in London to parents Landry and Edyln Deakin. Magnus and Ivory Maddock, with their daughter Falynne, return to London. Magnus, performing as the Grande Hyperion, soon becomes one of England's premiere stage magicians. Gillian Vanderzee, mother of Berkley Vanderzee, is killed by a stray bullet from a gunfight between rival outlaw gangs in Kansas City. Berkley Vanderzee and his father Miles return to England. Berkley is apprenticed to a London watchmaker. Nicholas Vanderzee remains in the states, working on a cattle ranch owned by his maternal uncle Giles Ainsworth. Adler Fanshaw is born in London to parents Samuel and Eloise Fanshaw. John (Jack) Deakin, the youngest of the three Deakin brothers, is born in London to parents Landry and Edyln Deakin. Ivory Maddock is tragically and brutally murdered in London. Sisters Glynnis and Kendra Deakin are both tragically drowned in a boating accident. Magnus Maddock performs in Chicago as stage magician the Grande Hyperion, part of a tour of the states. His daughter Falynne meets cattle rancher Nicholas Vanderzee while staying in the city. Impressed with the young woman's intellect and natural abilities, Nicholas suggests she contact his brother Berkley, a well-known London inventor and watchmaker, when she returns to England. Falynne Maddock meets Berkley Vanderzee upon returning to London. The young woman immediately begins to work in Vanderzee's laboratory under the scientist's tutelage. Matthew and James Hardy arrive in London, the latest stop on their world tour. They are intrigued by rumors of vast networks of underground tunnels and caverns below the surface streets of the city. The Hardy brothers mount their first expedition into the underground tunnels and caverns beneath the city of London with help and financing from Berkley Vanderzee and Geoffrey Hawkins. On their second subterranean expedition beneath the city of London, Matthew and James Hardy discover a plasma-type gas that will eventually come to be known as æther. They present their samples to Berkley Vanderzee and Geoffrey Hawkins, who begin research and experimentation on the substance. Brent Hawkins is born out of wedlock to parents Geoffrey Hawkins and Shannon Kennicot. Enoch Cyncad, a well known doctor and academic from the University of Edinburgh, is at the center of a London medical scandal that involves experimentation on live human subjects. 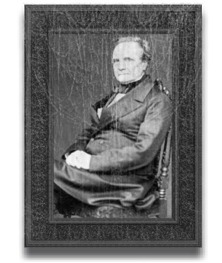 His actions are exposed by one of his former students, Dr. Jeremiah Hawkins, older brother of Geoffrey Hawkins. Before being taken into custody, Cyncad violently murders Jeremiah Hawkins. 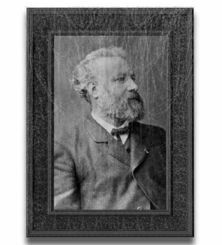 Timothy Deakin embarks on the first of several visits to Germany that continue through late 1879. Over the course of these visits, he engages in discussions with physicist and mathematician Max Planck relating to heat mechanics and thermodynamics. Charles Hawkins introduces Timothy Deakin to his older brother Geoffrey. The two become fast and close friends. Adler Fanshaw begins working as an office boy at the London Evening Gazette. Mere weeks after his conviction for numerous crimes including the murder of Jeremiah Hawkins, Enoch Cyncad escapes from Newgate Prison just hours before his scheduled execution by hanging. Magnus Hyperion passes away in London. His daughter Falynne assumes the surname Hyperion in his honor. Shannon Kennicot, former lover of Geoffrey Hawkins and mother of Brent Hawkins, marries Roderick Pepper. A brief article in the London Evening Gazette dismisses reports of clock-heads in London slums, describing eyewitnesses as "greatly intoxicated with drink and revelry and inclined to exaggeration." 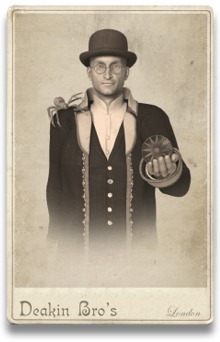 Reclusive former journalist and social reformer Henry Mayhew receives a crude drawing of a "clock-head," a mechanically-deformed human being. It is given to him by someone named A. Steenburgen who claimed it was drawn by a prostitute who was attacked by the creature in a London slum. 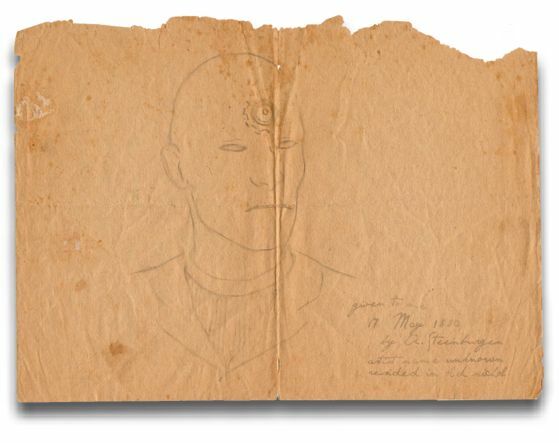 Henry Mayhew sends the clock-head drawing and a letter of explanation (Item 25) to Geoffrey Hawkins, as he feels that it may relate to a number of matters that Hawkins has been investigating. Adler Fanshaw becomes a general assignment reporter for the London Evening Gazette. He meets Geoffrey Hawkins while investigating a number of unusual murders in the London slums. Private investigator Archibald Teddington delivers to Geoffrey Hawkins a human skull with embedded mechanical constructs. 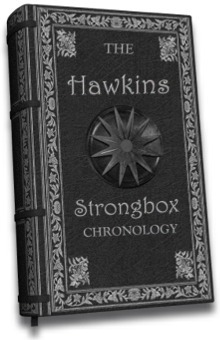 It was discovered along the banks of the River Thames and is the first tangible evidence of a clock-head presented to Hawkins and his associates. Geoffrey Hawkins, Timothy Deakin, Berkley Vanderzee and Falynne Hyperion meet at the Scientia Club in London and form the Society of the Mechanical Sun. Their initial mission is to contain the use of aetherdynamic technology, especially as it relates to the plans and machinations of Dr. Enoch Cyncad. 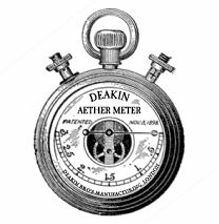 Berkley Vanderzee presents Geoffrey Hawkins, Timothy Deakin, Falynne Hyperion and himself, with custom-designed aether-powered pocket watches, that serve to recognize the membership of each one in the Society of the Mechanical Sun. 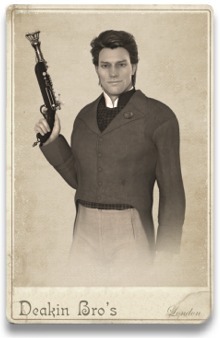 Kenyon Saunders of the London gunsmithery Saunders and Sons is accidentally killed when attempting to manufacture an aether-based firearm. Brent Hawkins is officially adopted by Roderick Pepper. His mother insists he retain his father's name in some fashion; he becomes Brent Hawkins Pepper. Jack Deakin, youngest of the three Deakin Brothers, mysteriously disappears. 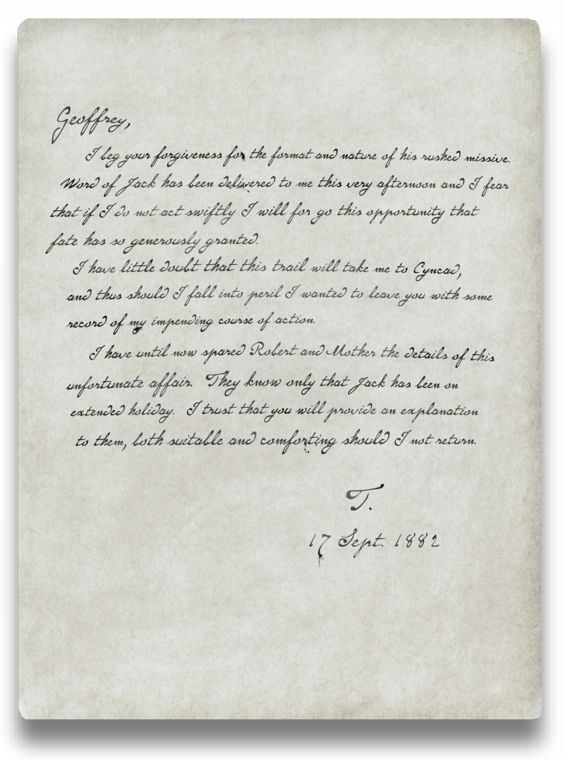 Timothy Deakin writes a brief message to Geoffrey Hawkins (Item 31) indicating that he has received word of his brother Jack and intends to immediately mount a search for him. He mentions the name of Dr. Cyncad in the message and expresses fear for his own well being as he pursues the matter. Timothy Deakin, Matthew Hardy and Adler Fanshaw rescue Jack Deakin from a subterranean outpost deep below the city of London. Jack Deakin emigrates to America, ultimately settling in Carson City, Nevada. He establishes a second Deakin Bro's photography studio with financial assistance provided by Nicholas Vanderzee and Giles Ainsworth. Timothy Deakin travels to Rochester, New York at the request of George Eastman. Deakin provides Eastman with numerous optical designs that Eastman in turn incorporates into his own Kodak line of cameras, the first of which is introduced in 1888. 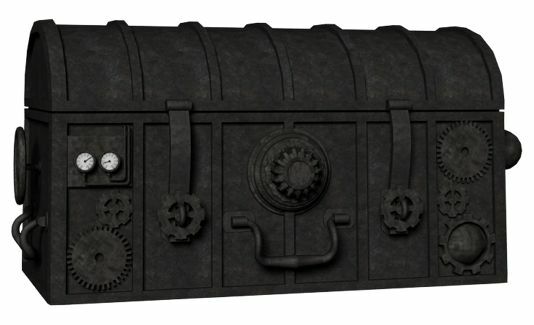 An article in the fall issue of Hawkins Journal of Advanced Science and Industry indicates that production has commenced on a prototype of the Hawkins Steam Coach. The first Hawkins Steam Coach is destroyed by sabotage. 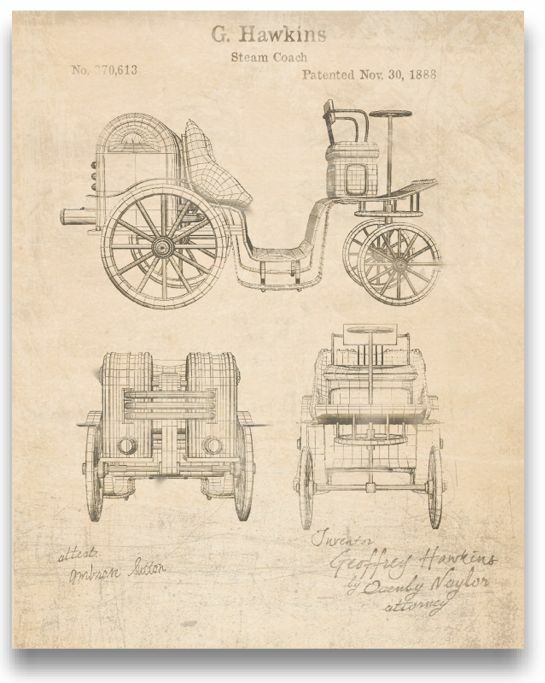 Geoffrey Hawkins patents his design for the Hawkins Steam Coach. Geoffrey Hawkins demonstrates his second Hawkins Steam Coach to Christmas guests at his country estate in Faversham. The second Hawkins Steam Coach produced by the Hawkins Industrial Laboratories is destroyed by sabotage. Geoffrey Hawkins halts production of the design and secures the remaining prototype in a secret and still undisclosed location. The book, My Travels Underground by Matthew Hardy, is published in London. Geoffrey Hawkins travels to America. He spends time in Nevada where he supervises the construction of two single passenger steam walkers at the Timberjack Ranch near Carson City. Adler Fanshaw marries Edith Parshall in London. Falynne Hyperion moves her airship engineering laboratory from England to Nevada, primarily to escape the industrial espionage perpetrated by jealous European rivals. 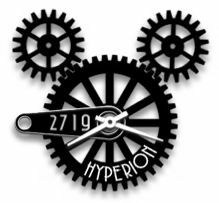 Nevada rancher Giles Ainsworth provides a large tract of land on his Timberjack Ranch that affords Hyperion the necessary privacy to design and construct her fleet of Hyperion Zephyr Airships. Chicago Police Detective Fitzgerald forwards evidence of clockhead parts to Geoffrey Hawkins in Kansas City. 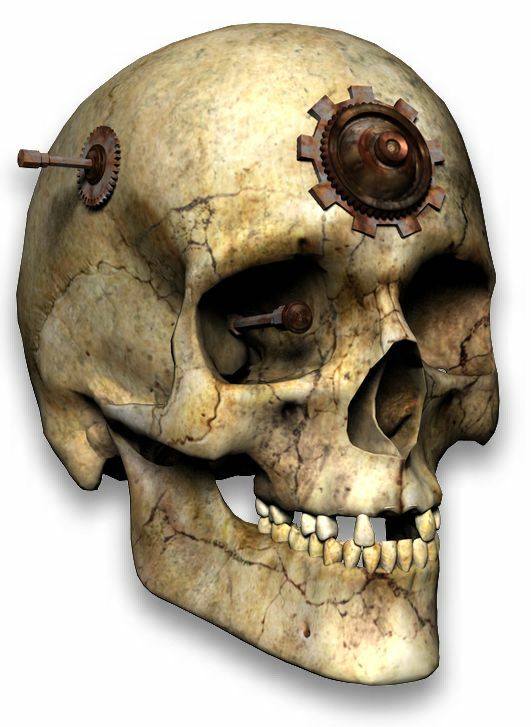 The mechanisms were found in the home of notorious serial killer H. H. Holmes. (Item 85: The Fitzgerald Envelope). Geoffrey Hawkins convinces Timberjack Ranch owner Giles Ainsworth to expand the newly created Zephyr Air Field by adding a large estate that could serve as a strategic headquarters for the Society. Construction of the Zephyr House is completed. The design includes electricity via an early prototype hydroelectric generator, two elevators, a wireless telegraph and a high altitude dock to accommodate airship traffic from the nearby Zephyr Air Field. A catastrophic fire consumes the Hawkins Industrial Laboratory near Faversham. 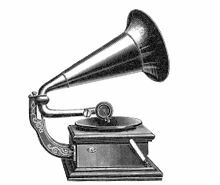 It destroys an enormous amount of research notes and historical records. Arson is suspected but never proved. At the time of the fire, Geoffrey Hawkins is abroad in the United States. Falynne Hyperion's semi-rigid airship, the Iron Zephyr, makes its maiden voyage across areas of Nevada and northern California. Brent Hawkins Pepper and Orphelia Burby are married. Cedric Pepper is born to parents Brent Hawkins Pepper and Orphelia Burby Hawkins. Edith Parshall Fanshaw, wife of Adler Fanshaw, dies of influenza in London at age 48. 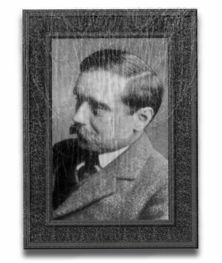 Cedric Pepper emigrates to America following service in the British army during World War I.
Adler Fanshaw moves from London to Chicago, Illinois, continuing to work as a newspaper reporter. Cedric Pepper marries Esme Sigismund and the two settle in the small western Pennsylvania steel town of Duquesne. Tomorrow Comics #1 is published by Lake City Periodicals, a small magazine publisher in Chicago. It includes a story written by Adler Fanshaw starring superhero Sparky Elektro. The story makes veiled references to Enoch Cyncad, Berkley Vanderzee and past events relating to the Society of the Mechanical Sun. Timothy Deakin, then residing in southern California, discovers Tomorrow Comics #1 and forwards a copy to Geoffrey Hawkins who is living under the name of G. Thomas in Munhall, Pennsylvania. Millionaire George Whittell Jr. demolishes the long abandoned Zephyr House at Lake Tahoe and donates the resulting scrap iron and steel to the war effort. Victorian Mechanical Museum Curator Robert Fitzhugh is visited by a gentleman who identifies himself as Jonathan Rogers, an American private investigator working at the behest of a lawyer settling estate issues relating to a member of the Hawkins family. 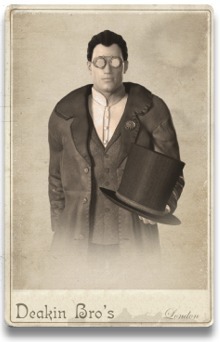 He is searching for any documents and personal effects that may have belonged to Geoffrey Hawkins. Fitzhugh later learns that Rogers is in fact Colonel Cameron Starkweather, an American military intelligence officer assigned to Project Nick, an U.S. military operation researching the feasibility of particle beam weapons. The short story The Battle Below by Adler Fanshaw is published in the July 1949 issue of Startling Stories. The story makes mention of æther cells and particle beam weapons. Adler Fanshaw is interviewed by Cameron Starkweather, who is seeking information about æther science and particle beam weapons, as it relates to Geoffrey Hawkins and his associates. Adler Fanshaw passes away in Munhall, Pennsylvania at the age of 92. 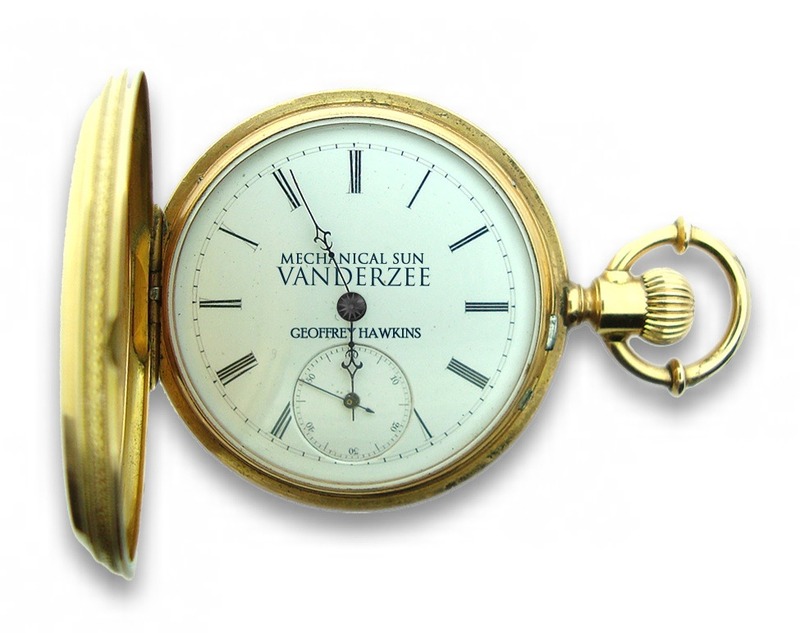 The Mechanical Sun pocket watch belonging to Geoffrey Hawkins stops working, its æther cell exhausted. It is secured within the Hawkins Strongbox. Cedric Pepper passes away in Duquesne, Pennsylvania at the age of 86. A large iron strongbox, dated from the late 19th century, is discovered in the basement of a small house in Duquesne, Pennsylvania. The house was once owned by Cedric Pepper. 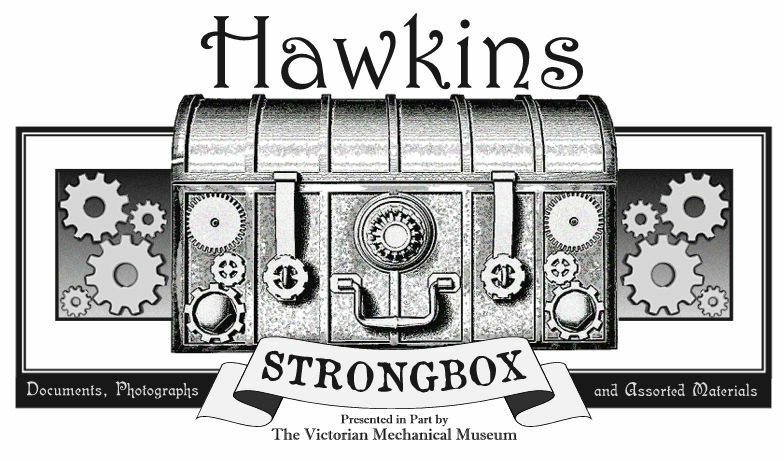 After 11 months of effort, a team of technicians from the Victorian Mechanical Museum deciphers the locking mechanism on the iron strongbox and it is finally opened. 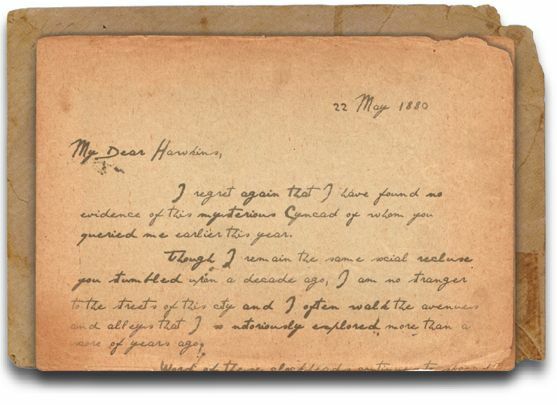 The contents are revealed to be manuscripts, letters, photographs and other assorted ephemera largely associated with 19th century scientist, inventor and adventurer Geoffrey Hawkins. "My colleagues and I travel into the 20th century every day. It is a happy and wondrous place."